I have the privilege to report to our global alumni and all those friends and stakeholders of the extended Nuffield family on the activities of Nuffield International (NI) during 2016. This has been a seminal year in the growth of the organisation as we expand our global footprint. It is worth reflecting on how NI came to this point of our evolution and to recognise those who have contributed their vision and passion for Nuffield beyond their own country efforts. 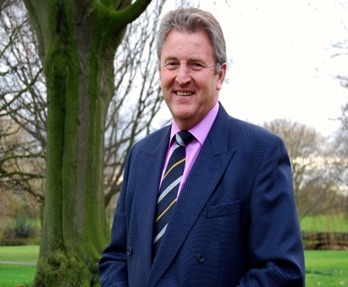 It was in Ireland in 2008 when Peter Nixon, 1991 Australian Nuffield Scholar, took the reins as chairman of NI as a pre-curser to Australia hosting the 2011 triennial conference. Peter was chairman of an organisation, which did not have a charter or bank account and only existed as a forum to meet every three years. He quickly set about changing this and by 2011 he had an agreement and set of rules by which NI could operate, to present to a meeting of alumni in Adelaide. This agreement was formally ratified by the six country chairs present (Terry Hehir, Australia; Barry Cudmore, Canada; Philippe Quignon, France; Padraig Walshe, Ireland; Stuart Wright, New Zealand and Jack Ward, UK). By this time, all Nuffield chairs were attending the Contemporary Scholars Conference each year, which enabled the NI board to meet regularly to decide on strategy and governance issues. Between 2001 and 2014, when the triennial conference was held in Canada, NI under the astute guidance of Stuart Wright from New Zealand, admitted Netherland into the Nuffield family and agreed to provide a NI scholarship for candidates outside the current seven participating countries. Fortuitously, we were able to reach an agreement with TIAA Global Asset Management, a global farming investment company, to fund scholarship in 2015 and awarded to Cecilia Fialho from Brazil. TIAA also funded a scholarship in 2016, awarded to Luciano Loman. Luciano is currently completing his scholarship research. The breakout year has been 2016 with the appointment of a full time Executive Officer, Jim Geltch, who had previously managed Nuffield Australia. With considerable financial support from the UK and Australia as well as Canada and New Zealand, has enabled NI to ensure management was well enough resourced and to spend the time necessary, to secure funding for further scholarships. The result has seen five NI scholarships awarded for 2017. We have two from Brazil, one from USA, one for South Africa and one from Brussels in the EU representing the global fishing industry. See the link to the scholar profiles. More than just the five scholarships awarded, there has been considerable momentum developed to achieve a greater result for 2018. A very successful CSC held in Cavan Ireland in March 2016. We had Nuffield scholar representatives from 8 countries and a further 6 nationalities present as guest. This global diversity coupled with the extraordinary and generous welcome given to our scholars by the people of Cavan, made the 2016 CSC a very memorable event. Many thanks to Bill O’Keefe and John Tyrell, Irish Chair, and Executive Officer respectively, for hosting NI. However, many of the accolades must go to Alo Mohan and Catherine Fox (not a Nuffield scholar) who worked diligently to present a varied program which encapsulated excellent speakers, a great venue and the opportunity to partake of the legendary Irish hospitality. The seven Nuffield country national conferences have all been resounding successes throughout the year. New Zealand held their biennial conference in Blenheim; Australia in Adelaide; Ireland in Dublin; Dutch in Dronten; French in Paris, Canadian in Calgary and UK in Newcastle. This enabled the 2015 scholars to make their respective presentations and the opportunity to formally announce the 2017 Nuffield scholars. Congratulations to all these scholars and well done to the respective country executives for an exceptional job in presenting Nuffield in the most positive light. The United Kingdom has the honour of hosting the triennial conference in 2017. Details of the conference can be found elsewhere in the newsletter. However, I would like to make special mention of my committee, who have worked tirelessly to pull together an exciting program which will highlight the best of British Agriculture. A special mention must be made to the 70 financially aided registrations for recently returned scholars. This has been a deliberate strategy of the committee to ensure the conference is especially affordable for those younger scholars. A special treat will be the presence of 30 of the 2017 scholars (also at the discounted registration rate), who will participate in the triennial as a part of their Global Focus Program. The establishment of a Foundation Fund to strategically assist NI in their endeavours to expand our global footprint. Scholars will be approached, with the full knowledge of their country board, to contribute financial support and personally be an integral and founding partner in the internationalisation of Nuffield. In closing, can I take the opportunity to thank my board members and their respective executives who support them. On behalf of the NI board, we would like to wish everyone, who is a part of the Nuffield family, all the best for the festive season and wishing you a successful and prosperous 2017.